Dino's Mobile Pizza - GLENMORE PARK BRUMBIES RLFC - ARE YOU PART OF THE STAMPEDE? established in 2002. 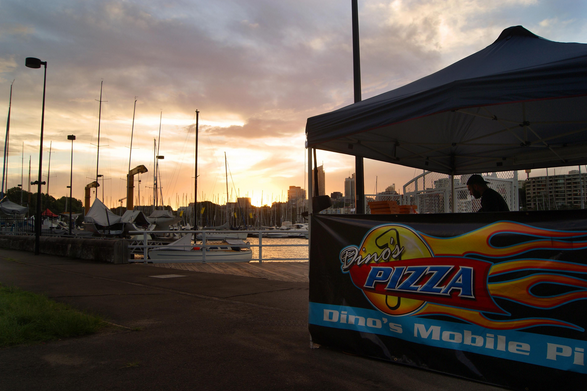 Since then, Dino’s Pizza has become one of the finest and most reputable mobile pizza services in Sydney. ​​You guys were amazing! Everyone was commenting on how great the pizzas were and how professional the service was. Thank you for helping our day run smoothly and for ensuring everyone was so well fed! Please call Dino on 0416 008 524 to book in your next big event and let him know the Glenmore Brumbies sent you! The pizzas were great and the waiters were terrific! Pizza comes from the latin root word Picea which means the blackening of crust by fire.